In Phuket, foreigners interested in investing in property have limited options: they are not permitted by law to own land and the only property they can directly acquire are condominiums. However, they cannot own more than 49% of the value or area of the whole condominium project. Leasing land is another way by which foreigners can make a property investment. A foreigner can take a lease on a piece of land for residential purpose and build on it in his own name. Leases which are less than three years in duration do not have to be registered with the Land Department but is required by law for those that last for three years or more. According to the Thailand Civil and Commercial Code, the maximum number of years land may be leased is 30 years with an option to renew for another 30 years. This contract of hire can terminated without notice at the end of the agreed period. Lease renewals must be registered with accompanying taxes to be paid. Foreign companies may take on a 50-year lease on a land for industrial and commercial use with the possibility of being granted an extension. 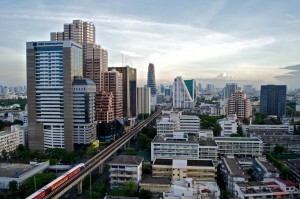 Although leasing property in Phuket is common among foreigners, the set-up has its risks. In cases where the owner of the leased property dies or transfers ownership, the lessee cannot claim a breach of contract against the landowner. Furthermore, the latter may not agree to sign any registration for lease extension past the 30 years agreed upon. A lessee may choose to file a lawsuit against the landowner, however such a route is not only time-consuming but it also entails huge expenses on the part of the complainant, in this case, the lessee. Considering the drawbacks of a leasehold agreement, a superficies agreement may be a better option to look into as it offers long-term protection to investors. In contrast to a lease which is based on the parties involved in the agreement, a superficies is centered on the land itself. It is a property right whereby the owner of a piece of land grants a person called a superficiary the right to own structures built on his land. Lessors, on the other hand only pay for the use of the land. Leasing property in Phuket requires the expertise of competent property professionals. Foreigners must especially make sure that they fully aware of the laws that govern leasing property in Phuket before they affix their signatures on any contract. Siam Legal International is a reputable law firm that specializes in drafting lease and superficies agreements for both Thais and foreigners. Our lawyers will also provide you with sound advice regarding leasing property in Phuket to ensure your protection and to guarantee that you get a fair deal. For inquiries, fill out the form below completely. © Copyright Attorneys in Phuket 2019. All rights reserved.